It’s always a good practice to have a separate account from your regular AD account (which you use to login to your workstation) when working with SQL Server, especially for performing admin related tasks. 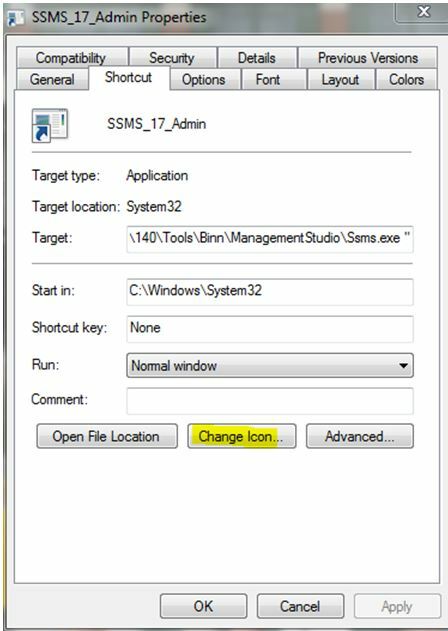 In this blog post, I will show you a simple trick how to create a shortcut for SSMS on your desktop which opens the application with different credentials. 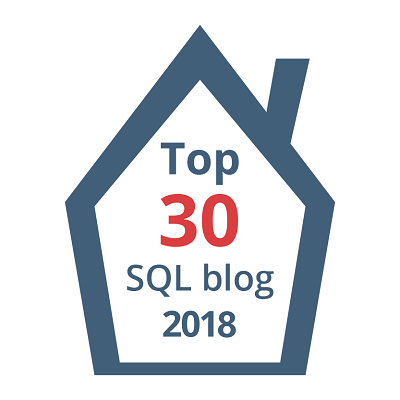 Let’s say I am a DBA and I have two separate domain accounts, ‘SQLTREK\Sreekanth’ (Which I use to login to my Workstation/laptop) and ‘SQLTREK\Sreekanth_adm’ (Which I should be using when I connect to my SQL Servers). 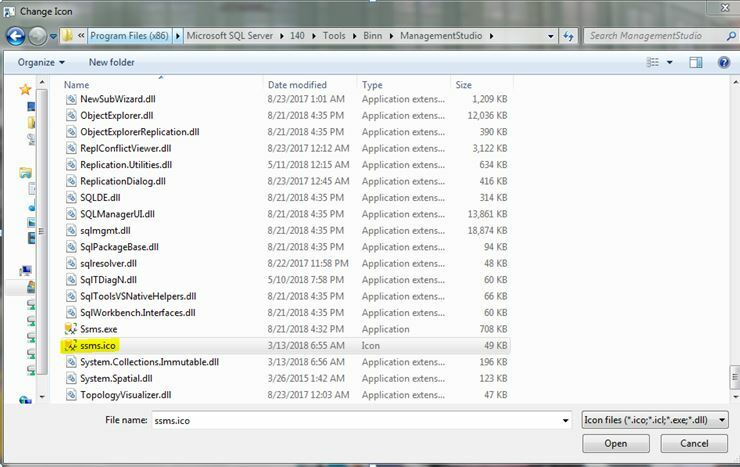 In this case, If I want to connect to a SQL Instance from my local SSMS installed on my laptop, what I could do is right click on SSMS(holding shift key) and select ‘Run as different user’ and provide SQLTREK\Sreekanth_adm credentials. 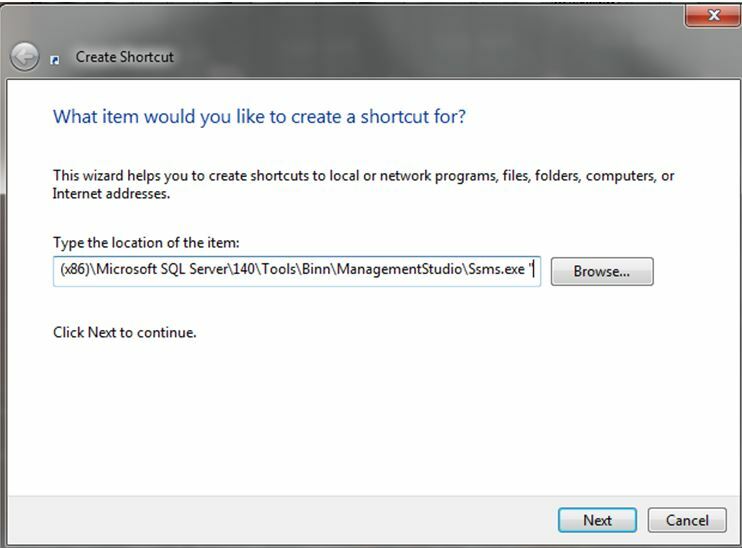 Well, what If I don’t want to go through this process each and every time I close and re-open SSMS? Let’s see how we can achieve this. Now locate your SSMS.exe path on your machine and prefix with runas.exe /user:Diffuser, See below for exact syntax. This will open your SSMS.exe application as user ‘SQLTREK\Sreekanth_ADM’ instead of my regular account. Even better, if you don’t want to enter the password each time you open SSMS, you can pass /SaveCred switch. In that case, this is what I would use. 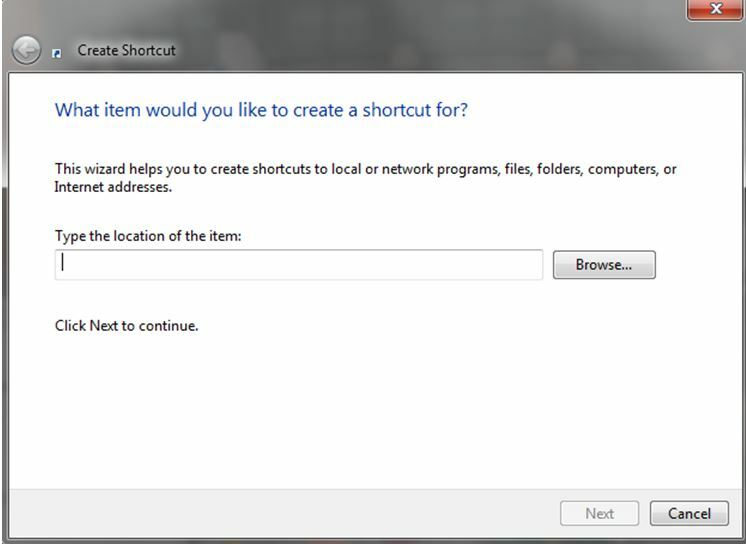 Now, give your shortcut a name. Now I have the shortcut created, but it looks ugly with no icon. 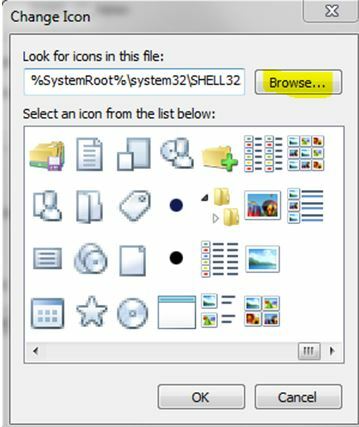 Well, let’s make it fancy…right click on the shortcut and go to properties and select change Icon button. 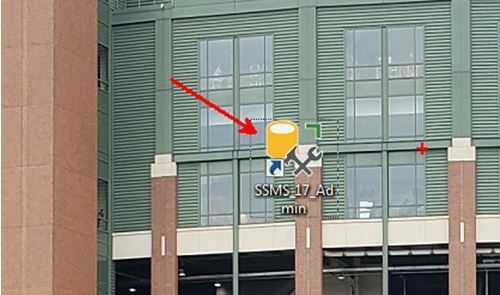 Now, click on browse and go to the folder where SSMS is installed. In my case it’s “C:\Program Files (x86)\Microsoft SQL Server\140\Tools\Binn\ManagementStudio” and select “ssms.ico” and hit open–>OK–>Apply–>OK. 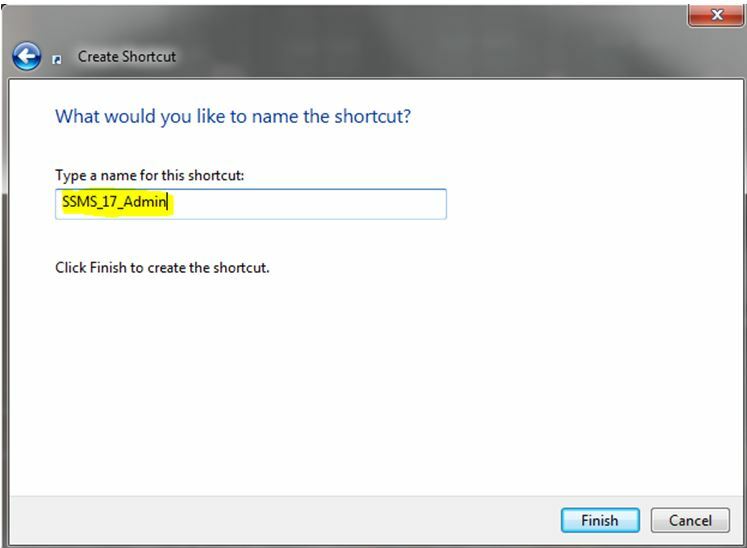 Now I have my fancy looking SSMS shortcut with my admin credentials saved. From now on I don’t have to hold shift key and select run as diff user and provide credentials each and every time I want to connect to my SQL Instances locally from my machine. Note: Using /savecred is a bad security practice. Doesn’t work on win10 from some reason. It’s pretty annoying.